Tight quadriceps are a common finding with knee pain, as well as lower back and pelvic pain. 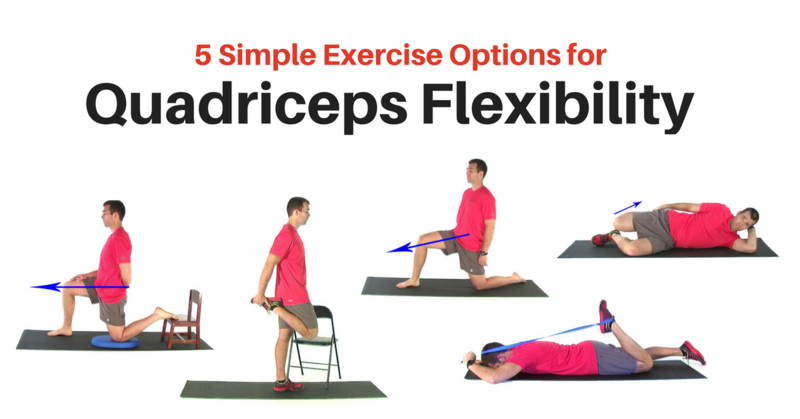 In this brief article I outline five simple exercises that can help improve mobility and flexibility of the quads. 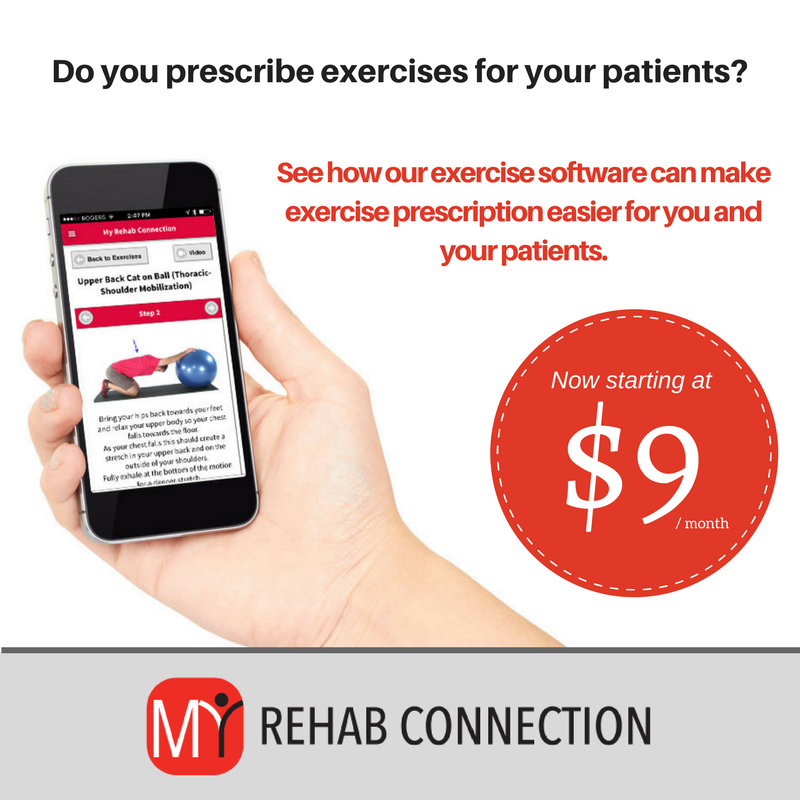 Note: If you are a My Rehab Connection subscriber, these stretches can be found in the My Exercise Groups section under the “Group: Quad Mobility”. 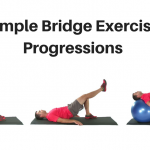 Each stretch can also be accessed in the My Exercise Library section. The Kneeling Lunge is a classic hip flexor stretch. But because the knee is flexed it tends to bias the stretch towards the rectus femoris muscle. As long as the patient does not have issues with putting pressure on the knee this is usually my go to stretch for the quads. 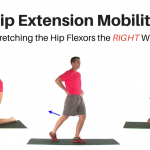 Not only is it a great stretch, but is teaches the patient how to move through the hip. It also serves as a great precursor to the lunge exercise, which is often dysfunctional and needs to be retrained when the quads are tight. To perform the stretch correctly it is important to make sure motion is coming from the hip. The two most common faults patients will use to get around the hip are to tilt the pelvis anterior and hyper-extend the lumbar spine, or to lean forward with their entire trunk. Having the patient perform a posterior pelvic tilt and abdominal brace will help prevent this first fault. Instructing the patient to keep the shoulder stacked over the hips can help with the second fault. In most cases I prefer to have the patient shift forward until they feel a light stretch on the front of the thigh, hold that stretch for 1-2 seconds, then shift back to release the stretch. I have them perform 10-15 repetitions. Having them hold the last stretch for 15-30 seconds is another option. The classic Kneeling Lunge Stretch can easily be modified to increase the intensity of the stretch and to shift the focus even more towards the quads. This can be done by elevating the back foot. This stretch can be particularly effective where there is restriction between the rectus femoris and vasti group. The additional knee flexion will further load the quads and create a deeper stretch. You can vary the height to which the foot is raised to match the capacity of the patient. Other than the raised foot, the execution of the stretch is the same as the Kneeling Lunge Stretch as described above. As a side note, many patients will ask if they can simply reach around and hold the foot up with their arm. I advise against this as it complicates the stretch and usually causes the spine to rotate and extend. 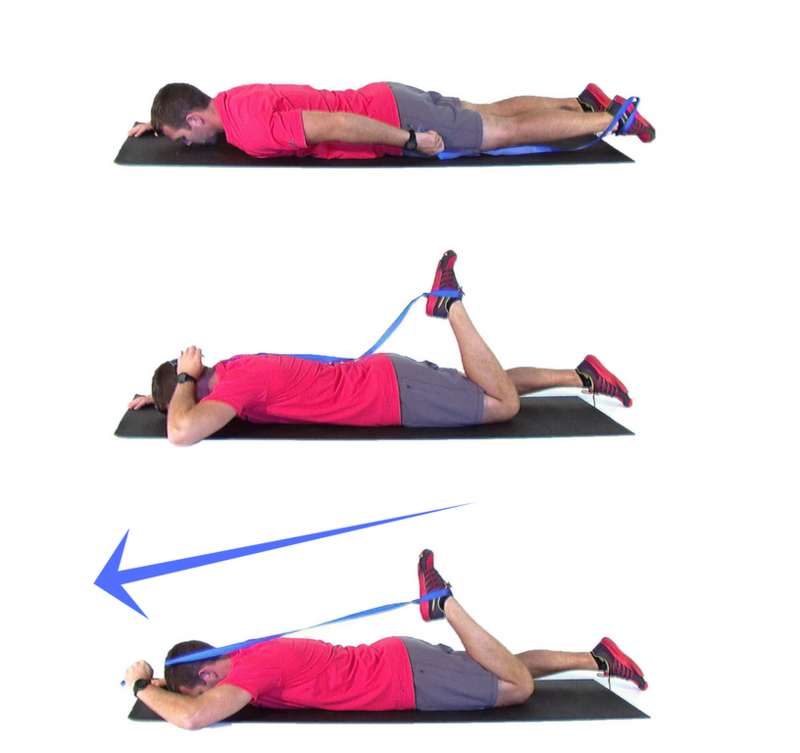 This is probably the most common quadriceps stretch. When patients are questioned about their current stretching routines this stretch is often on the list. While this can be an effective stretch (one of the biggest benefits is it can easily be done throughout the day), it is also one of the most poorly performed stretches. Most people will arch the back and twist the spine as they perform this stretch. Usually this occurs as an attempt to reach the foot with their arm. The better way to perform this stretch is to begin with the knee bent and the thigh positioned in front of the body. This places the foot under the hip making it easier to reach. From this position the key is to gently pull up on the foot to take the slack out of the quad. Then while maintaining this tension the patient can bring the thigh into extension until they feel a comfortable stretch. With the quad pre-tensioned the thigh will rarely get all the way behind the body. And it doesn’t need to. The goal is only to feel a stretch. This is an important point that needs to be explained to the patient. The Side Lying Quad Stretch is similar to the Standing Quad Stretch, but is performed in a non-weight bearing posture. This is a better option for patients who have difficulty standing on a single leg. It can also be helpful for people who have trouble keeping their spine in the correct alignment. Other than the side lying position the stretch is performed in the same manner. Start with the thigh in front, pre-tension the quad by pulling the foot towards the hip, then bring the thigh back. Performing a posterior pelvic tilt and/or an abdominal brace can be a helpful addition for those patients with a tendency to hyper-extend the lower back. Active Isolated Stretching (AIS) utilizes the contraction of opposing muscles groups in combination with passive assistance to achieve a deeper stretch. I often used these stretches with muscle imbalances where there is a tight agonist along with a weak antagonist. To perform an AIS stretch for the quad begin in a prone position with a stiff strap around one foot. The other end of the strap is held in the hand. Now actively pull the foot towards the hip. At the top of the motion gently pull the foot further towards the hip. This does not need to be a hard pull. It should be just enough to increase the stretch in the quad. Hold for 2 seconds then straighten the knee. Perform 10-15 repetitions. Improving Mobility Part 3: Is Static Stretching Dead?